Prototypes are usually hand made samples to give a sense of what a a production toy might look like or how it might function. Joe collectors are fortunate that pioneer Don Levine and other members of the team that created America's Moveable Fighting Man saved a number of original prototype items. Others are only recorded in period photos, a number of which fortunately survive. This page will share those that can be gathered. If you can share examples of salesman's samples or prototype pieces, please contact me! 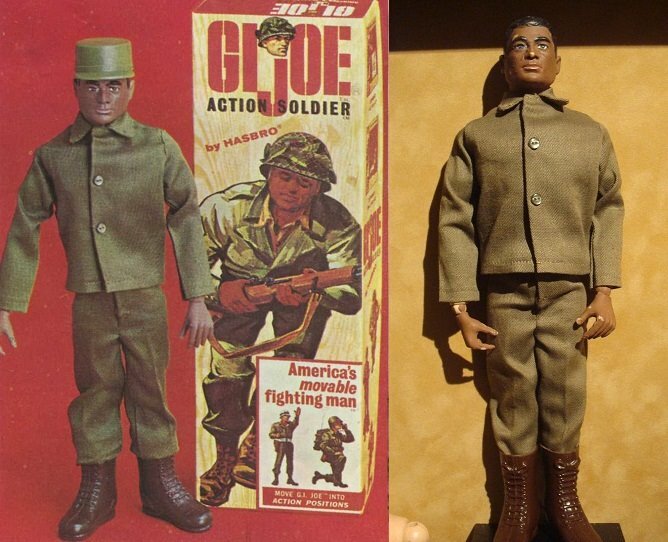 Above and below, the very first model of GI Joe used to demonstrate the concept's potential, courtesy of Heritage Auctions. Left, below, and right, Joe's first helmet, boots and canteen. The helmet may have been constructed of auto body putty, the canteen is of soft metal, possibly modified from a fishing sinker, and the boots cobbled together with vinyl and parts of doll shoes. 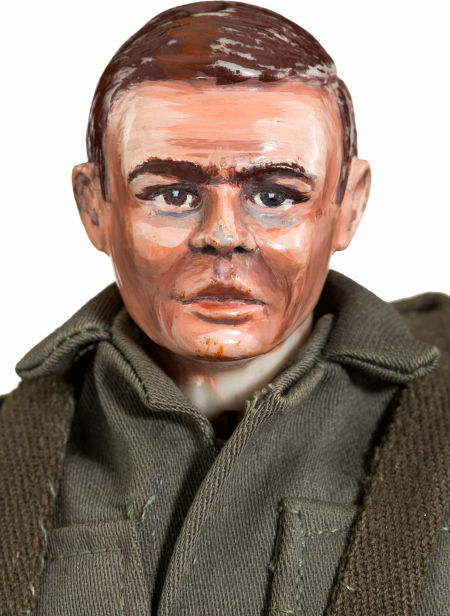 Early Ken dolls were used to show what navy uniforms might looks like. The head of the Ken on the left was craved and repainted to develop a more masculine look. Note the cool set of brass keys on the waist of the sailor. The sample one-piece wetsuit on the right was sewn from inner tube rubber. Both pieces courtesy of Heritage Auctions. These two images show GI Joe as he neared the final design stages. To the right, a full model showing the articulation. Note the golf ball cores used for hip joints and the unpainted cast of the Krackowski head sculpt. The hands and feet are cast from lead and the body parts all hand made. Note the lack of scar on the face. Courtesy of Heritage Auctions. Below, an early painted model from the collection of Matt Babek. Again, note the lack of a scar. That detail would be added as the figures neared production Also note the cool hand-painted camouflage on the fatigue top. Above, the first mock-up of the black Action Soldier. On the left, an image from the 1965 sales catalog, and on the right, the actual figure used for that shot. It's made from a standard white soldier that has been overpainted in brown. From the collection of Matt Babek. There's no doubt that Matt Babek is one of the kings of prototype and preproduction items. 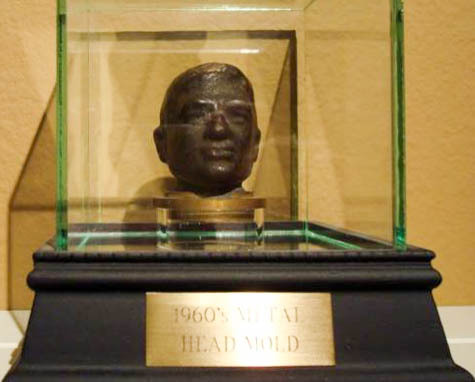 To the left is an original head mold that came to Matt directly from Sam Speers. You are looking at the exterior of the white metal master that was used to create heads. When first cast and still warm they were soft enough to pull out through the mold's neck hole. Thought there were no doubt dozens of these during production they are incredibly rare today. 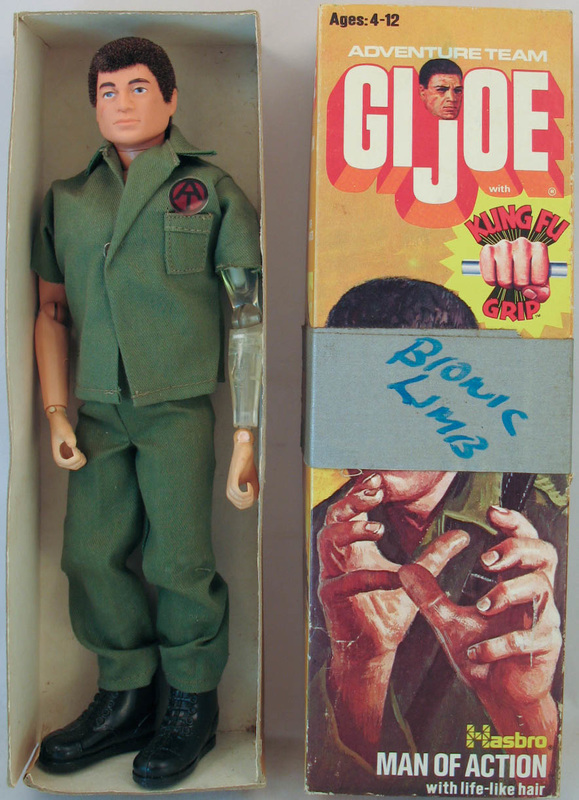 This 1974 Man of Action with Kung Fu Grip was used to create a prototype arm for what became Mike Power, Atomic Man. Found in the collection of a former Hasbro employee, the piece has a full description over on the Atomic Man page.